It is not the first time that food shortage is a crisis in the world. In the past, the introduction of mechanized farming and invention of fertilizers has helped solve the food crisis situation. Scientists believe that transformation of agriculture has the ability to meet the ever growing demand for food from the increasing population that has now reached critical level. It is their belief that due to the diminishing resources, innovations that will utilize the few that are available will help secure a food-secure future where consumption needs of the population are adequately addressed. 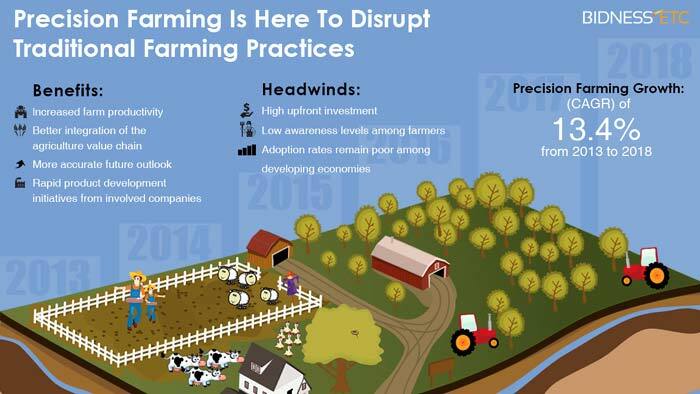 Precision farming is all about minimizing damage that was common in traditional farming techniques. In the past, planting and general farming was dependent on the climatic conditions of the areas in question; the planting session had to conform to a particular schedule failure to which would lead to poor harvests and output. This was one major challenge to farmers because successful food production was dependent upon the climate and if it changed for the worst, farming was greatly affected. Another major limitation of traditional farming was the fact that wastes and damages are an inevitable phenomenon. If you are depended on the natural climatic factors to grow crops, there is no measurable parameter that can be used to minimize waste caused but uneven climatic factors. However, with the technological advancements in agricultural production, it is possible to gather metrological data that can be used to draw a predictive trend that can make agricultural activities minimizes wastes and losses while simultaneously maximizing output. 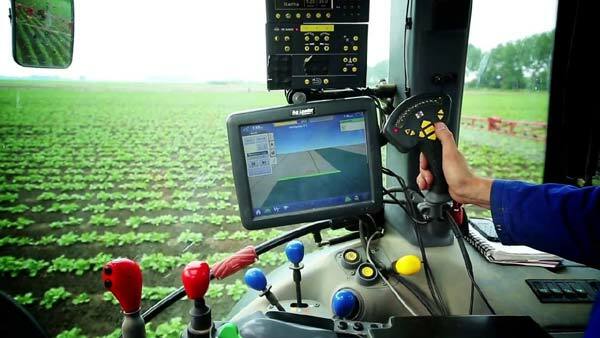 One of the efficient methods involved in precision farming involves the use of real time analytics and sensors to increase output of crop production. With this method, planting or growing of crops becomes a simplified process and so does the process of harvesting and transportation to destinations of need. The different parties involved in handling the harvested food will be in a position to not only minimize the cost involved in such processes but will be in direct contact with each other. This is where the SAP digital platform serves a demonstration to the effectiveness of precision farming as a modern way of transforming the agricultural sector of the economy. SAP aims to digitalize farming by providing a platform where data relevant to farming activities can be gathered in one place where they can be retrieved by farmers in an effort to make informed farming decisions that will improve their production capacities. Data gathered in this case has a wide scope and includes operational data obtained from individual farm machinery, metrological data as well as sensor data taken directly from the field of farms. The main advantage of this method of farming is that individual farmers can access information affecting their planting schedules and as such will enable them to plan appropriately while taking into considerations factors that might lead to poor output as well as those that might bring challenges in the farming life cycle from planting to harvesting. For instance, those with large commercial farms can optimize their farming process by investing in improved and more efficient irrigation system. Thanks to technology, it s now possible to monitor soil moisture and prevent unnecessary wastage of water in irrigation processes; water can now be applied to specific regions of the farm where moisture is lacking or where it is in insufficient amounts. In this case consumption is reduced while output is increased by a significant margin. In addition to improving farming, SAP platform also aims to help support industries and parties involved in agricultural production. This group involves manufacturers, contractors, transporters as well as suppliers because they have a great influence on how the final agricultural output reaches the final consumer. There has also been a suggestion that drones can be used by large farms to capture real images of crops as they grow in the farms an integration with analytics softwares, crop production yields will improve significantly. Besides weather, a substantial amount of food is wasted during transportation to several markets or retail centers thus why integration of weather forecasts into the supply chain will help limit the severity of the losses incurred. 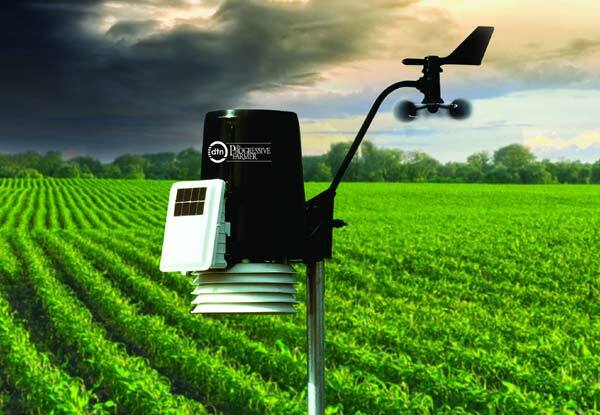 With a sound knowledge of weather patterns for instance, farmers can be in a position to accurately determine; which routes are most affected by weather conditions thus delaying deliveries and which ones are affected by extreme temperatures that can affect the quality of produce being transported at the specified time of the year. One major disadvantage of the supply and distribution network is the lengthy processes harvested food products have to go through before they reach the final consumer. To solve this problem, 3D food printing comes in handy particularly when dealing with highly perishable commodities such as fruits. It minimizes the damage and losses that might be incurred as a result of food going bad. Overcoming food shortage in the future is a top priority not only for farmers but for everyone and the key to achieving such a feat is embracing technology. Technological advancements in agricultural production have over the years helped solve food crisis and still remains the ultimate solution especially considering the ever growing world population with diminishing resources.